It is an ideal venue for a wide range of community activities including a successful preschool, wedding receptions, parties, dances, meetings, demonstrations and theatrical productions. It has a licence for 220 people standing and 140 seated.The car park has a capacity for 40. Kitchen is included in fees. 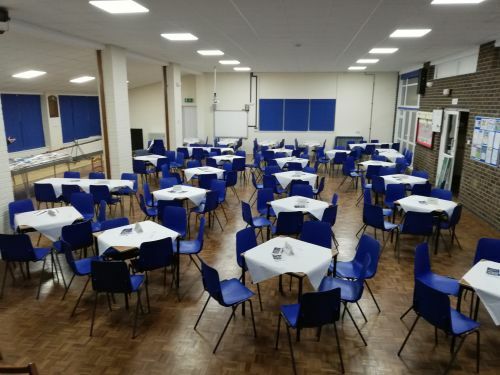 To make enquiries about our Hall or book a session please use the Contact Page, Clicking here will find it, or if you wish to speak to our Booking Secretary then ring, Chris on 07940 704676 or e-mail walthamchasevillagehall@gmail.com. Copyright © 2012 - 2019 Waltham Chase Village Hall. All rights reserved.